"I would like a family that realizes how special he is and will make his last years awesome." After living his entire life with the same family, Rocky was brought to a big public shelter in Texas, and his family told the shelter it was because he was “too old.” Before they left, they even asked the staff at the shelter to put Rocky down — but the shelter staff could see that Rocky still had so much life left in him, and refused to fulfill that request. Rocky had clearly led a hard life, and by the time he reached the shelter he seemed defeated and completely shut down. 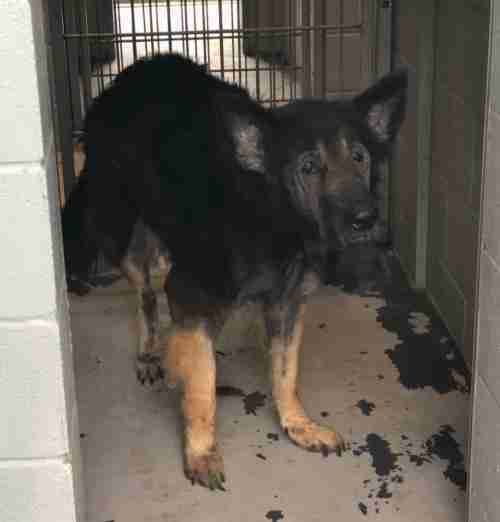 While he was the sweetest dog around, he was also confused and had no idea what was happening to him, and the staff who worked with him were worried. “He most likely just sat there patiently waiting for his family to return, having no idea they weren't coming back,” Kathy Fridley, Rocky’s new foster mom, told The Dodo. 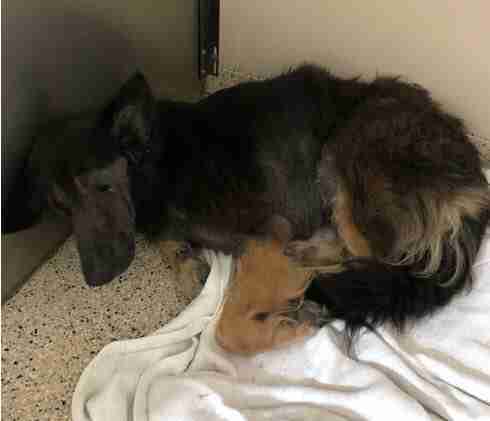 The shelter could see that Rocky would need some specialized care in order to heal, and so they contacted Shenandoah Shepherd Rescue in hopes that they could take him on. 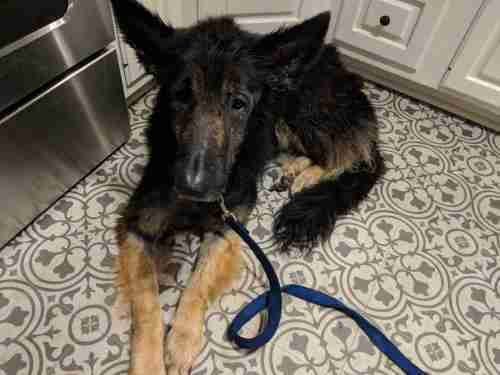 The rescue quickly agreed and transferred him to Virginia, where they immediately placed him into a foster home and began the long journey of helping him heal. 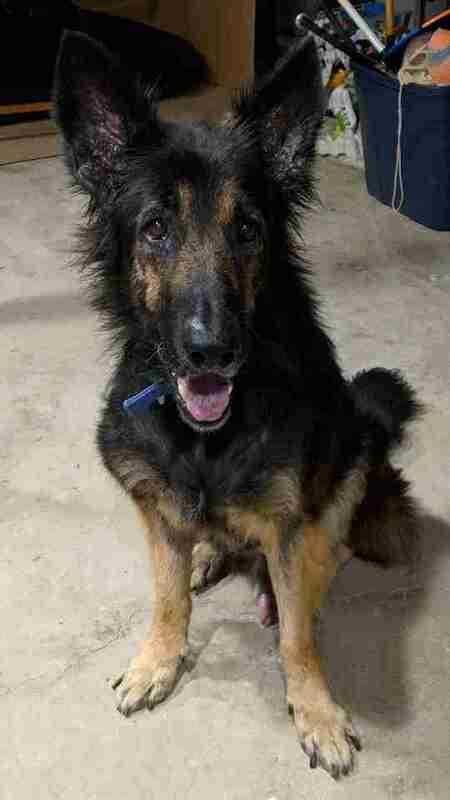 Once in the care of Shenandoah Shepherd Rescue, Rocky was treated for allergies, flea dermatitis and heartworm. 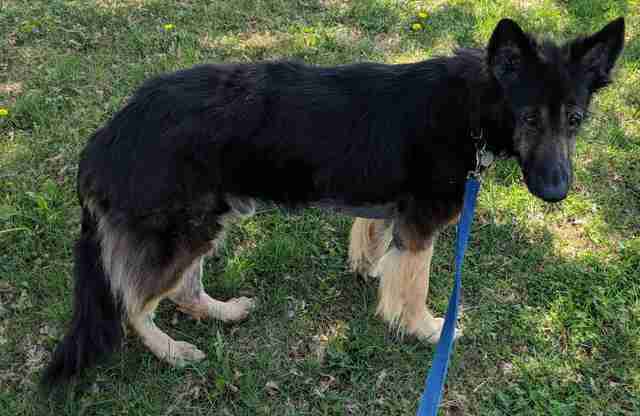 He was also around 20 pounds underweight, and was very nervous around other dogs. Despite his issues from his past life, though, all Rocky really wanted was love and attention, something he’d never been given during his first 10 years of life. Even though Rocky is on the older side, he has so much energy left in him, and is so willing to learn new things. Fridley has been actively working with him on his fear of other dogs, and even though he is still scared, he’s getting a little better every day, and is so eager to please his foster family that he keeps on trying. Rocky loves going on walks, and also loves just hanging out on the porch with his family. His favorite thing is to be included in family activities, because he wants to be near someone who loves him at all times. He absolutely adores car rides, and seems to come alive when he’s riding in the back seat looking out the window, with not a care in the world. Rocky would do best with a forever family who is home for a good part of each day and can give him lots of attention, walks and long car rides. While he’s good with kids, a home without very young kids would be best, and he would also prefer to be the only pet in the house. Rocky could potentially live with another calm dog, as long as his new family is dedicated to continuing his training. Above all else, Rocky just wants a family to love him for who he is, and who will continue to love him for the rest of his life. 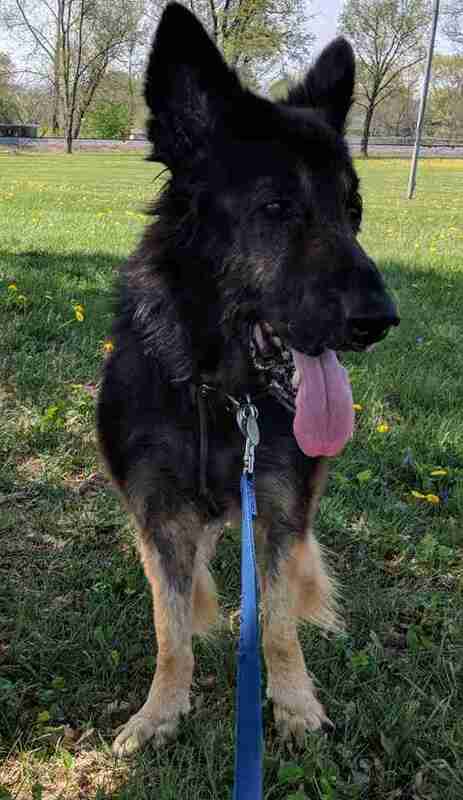 If you’re interested in adopting Rocky, you can contact Shenandoah Shepherd Rescue for more information.